Built in 1905 by George Gardner at a price of $28,000 this Georgian Revival home was designed by Thomas Holyoke. Holyoke was the chief draftsman for the famous architect Cass Gilbert on the state capital building and also built five homes on Summit Avenue. 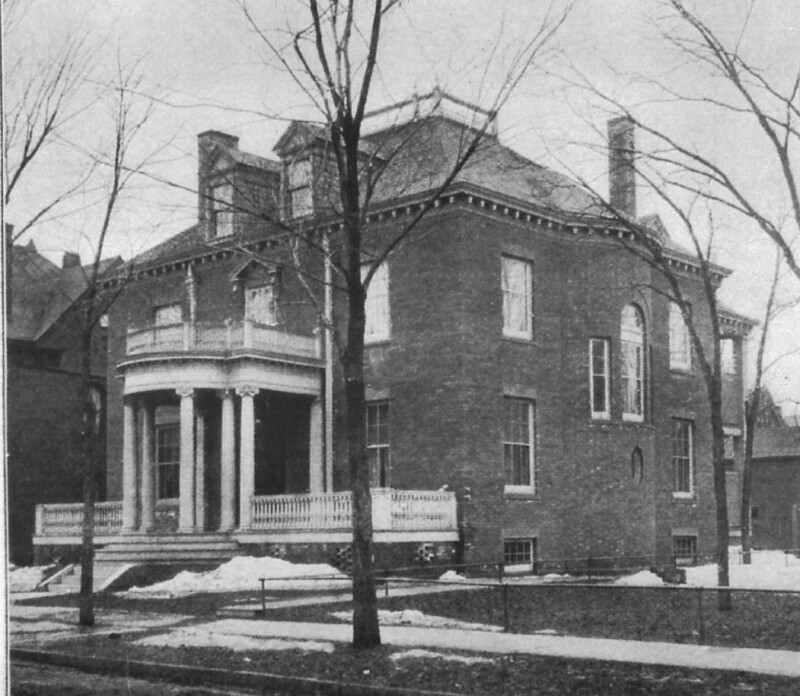 Another home was originally built on this site in 1882 in the Queen Anne style, but it was moved around the corner to 107 Farrington in 1903. I have had the privilege of viewing the home during a past Historic House Tour and the home is amazing. There are two grand parlors on the main floor, each flanking a central staircase. The basement is fully utilized and a good place to socialize. German quotes and sayings abound throughout the house. 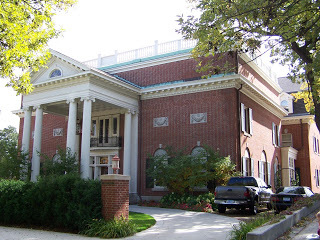 Even though it is no longer used residentially, the Institute fits in nicely on Summit Avenue. There is even a carriage house in the back that looks like a small home, but has around 2000 square feet. If the property were to come up for sale, it would most likely fetch well over $1 Million. If you happen to find yourself traveling to Red Wing, Minnesota you cannot miss the large brick tower rising out of the trees, nestled among various buildings and a main house. 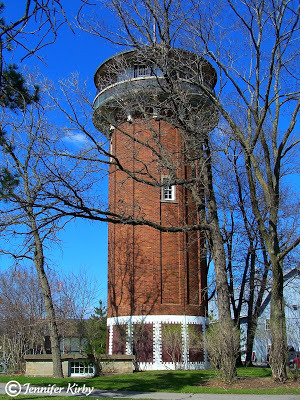 Built by Alexander Pierce Anderson between 1915-1921, the Tower View complex consists of the larger water tower, main house, and out buildings, not to mention underground tunnels connecting each building. The property was used as a working farm, laboratory, and homestead for the Anderson family. Mr. Anderson was an inventor of Swedish decent who grew up working on the family farm, later attending the University of Minnesota where he earned his B.S. in Botany in 1894, and a M.S. a year later. The Anderson Puffed Rice Company was created in 1901 where he utilized his invention of puffed rice and some 25 patents on the process. He purchased the current property between 1910-1920, and proceeded to build the complex seen today, including a large Georgian Revival style home where his family lived. In 1997, a huge restoration and renovation process began which encompassed the entire property. Tunnels were restored and reopened, and each building received some type of renovation. The Tower View, all 330 acres of it, is currently being used as the Anderson Center for Interdisciplinary Studies. More information can be found about Alexander Anderson on the MNHS.org website, and you can also view a photo of the home from 1950. 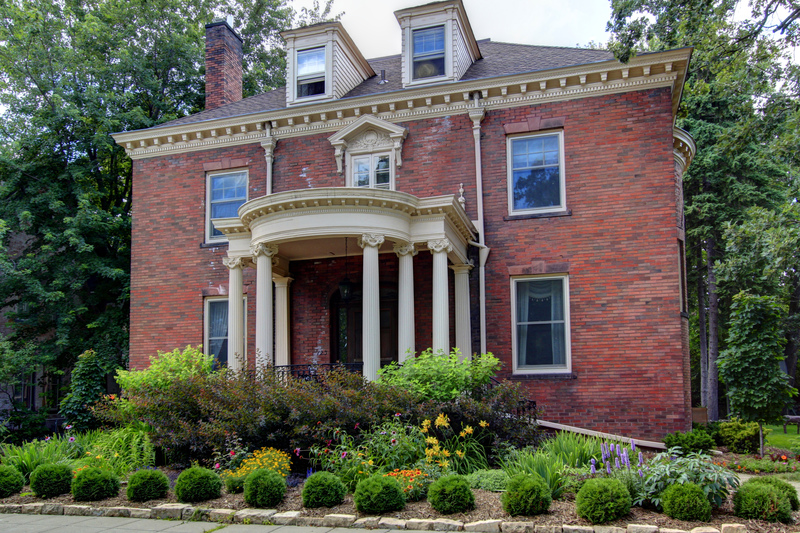 This weeks showcase Historic Home is 260 Summit Avenue. Built in 1902 by the famous Clarence Johnston, the home was designed for Louis W. Hill, the son of James J. Hill, who’s own large mansion was just a few houses down the street. As you can see, it looks as if there are two homes in front of each other. The original house at the back with the gambrel roof was built in the Georgian Revival style in 1902. 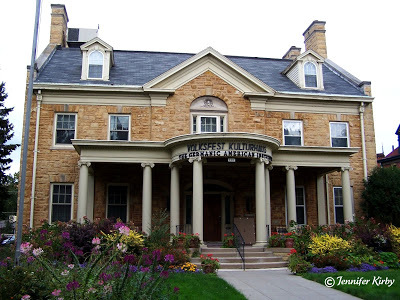 Needing more space, the front addition was added in 1912 giving four guest bedrooms and bathrooms on the first floor, and a grand ballroom on the second level. The front portico was saved and moved from the original spot to the front of the new addition. Combined together, the home has a total of about 25,000 finished square feet! The home has had many uses over the last century. 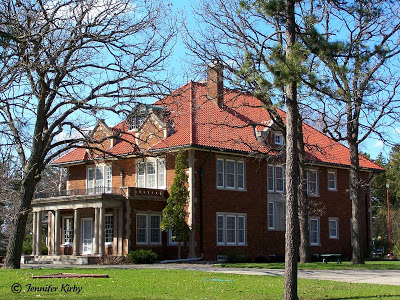 When Louis Hill died in 1948, the home was sold to the Roman Catholic educational guild, and then bought in 1961 by the Daughters of the Heart of Mary and used as a retreat. It went mostly untouched until 2001 when it was purchased by a local family and restored to its original splendor (at a purchase price of $1.7 Million). They currently use it as their primary residence and rent space out for special events. Local history has F. Scott Fitzgerald attending a party here once. 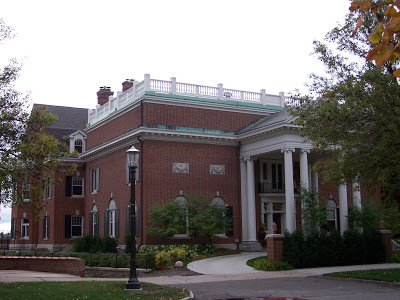 A costume ball held at the mansion even found its way into his story, “The Camel’s Back”.